Philip Hammond presented his first and last Spring Budget on Wednesday 8 March 2017. In his speech the Chancellor was keen to point out that he wanted the tax system to be fair, particularly in relation to the distinction between employed and self-employed individuals. In December and January the government issued a number of the clauses, in draft, of Finance Bill 2017 together with updates on consultations. The Budget updates some of these previous announcements and also proposes further measures. Some of these changes apply from April 2017 and some take effect at a later date. Here is our Budget 2017 analysis on the key points and developments. You can see our 2017/18 Tax Rate summary here. Please navigate our Budget 2017 summary by using the tabs below. The government has now announced a one year deferral from the mandating of MTD for unincorporated businesses and unincorporated landlords with turnovers below the VAT threshold. For those that have turnovers in excess of the VAT threshold the commencement date will be from the start of accounting periods which begin after 5 April 2018. 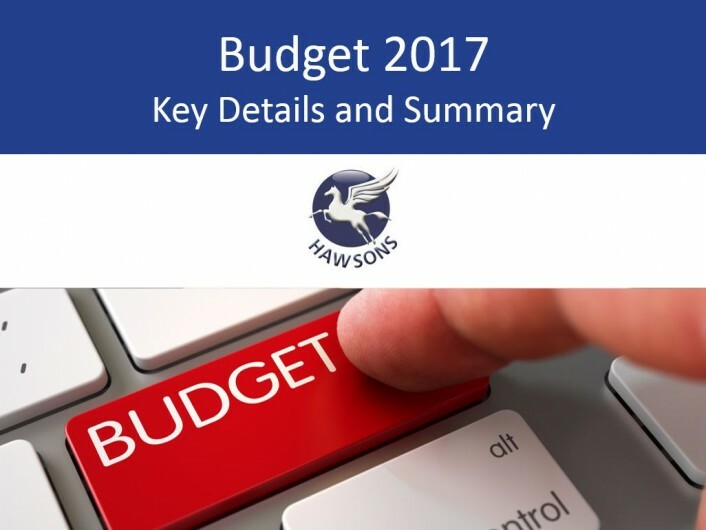 We will be publishing Budget 2017 sector analysis over the coming days.